Number one on the dog owner complaint list is pulling on a leash. Pulling is a natural behavior for dogs. When a dog is restrained or pulled back by something, its natural response is to pull the other way against it. The earlier you start leash training the better. I prefer a six-foot leash with the dog at my left side. When I move forward, the dog should stay with his shoulder next to my leg. If the dog pulls on the leash, we do not move forward. We only move forward when we have a loose leash. When first introducing loose leash walking, I change directions often to keep the dog’s attention on me and not on all of the distractions around him. Patience is paramount as leash manners can take some time to teach. Dogs jump for three reasons: excitement, attention seeking, or to show dominance. Dogs should never be encouraged to jump on humans. The method I like the best to discourage jumping is to move forward as you see the dog is about to jump on you. If you are moving forward the dog will be off balance and will back up and not jump on you. Another method is to tell your dog to sit when you see he is about to jump. If you have a young pup that is jumping on strangers, step on the dog’s leash so he will correct himself if he tries to jump. Nipping and chewing are natural behaviors of puppies between two and six months of age. It is investigative behavior and must be directed to appropriate items. Puppy biting and chewing is usually not aggressive behavior. If you are concerned, call a professional to evaluate the situation. Puppies should be with their littermates until they are approximately eight weeks old and have learned to play with other dogs by biting gently. If the pup bites your hands, redirect him to one of his toys. Some pups cannot resist the lure of a pant leg or a shoe lace. You can redirect your pup by clapping your hands and throwing a toy for him to chase. When bringing a pet home, housetraining is usually the first thing on the agenda. There are three steps to successful housetraining: 1) visualize the behavior you want; do not reward unwanted behavior 2) help your pet do it right 3) consistently reward his good behavior. Housetraining takes a commitment from the owners. I am a firm believer in crate training. A young pup should be taken outside to his designated potty spot about every hour. When he complies, he should be rewarded with your voice and/or a treat. It is important that the crate be in a spot where you will be able to hear him during the night as most very young pups cannot make it through the night without soiling their crate if they are not taken outside. During the day, keep your pup under close supervision or in his crate. If at any time your housebroken dog starts having accidents indoors, have him checked by your veterinarian in case there is a physical problem. Everyone wants a dog that will come when it is called, regardless of distractions. When teaching “come,” always make coming to you the best thing the pup can do. Running off-leash is a privilege that your pup must earn. When teaching a dog to come, always use a happy tone of voice while backing away from the dog. If you must do something that the dog does not like, do not call him to you; go to him instead. Another mistake new owners sometimes make is chasing the dog when they want it to come. 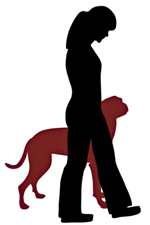 Crouching or kneeling or moving away from your dog will make you more appealing. There are games you can play with your puppy to teach him to come every time he is called. Often I am called to a home because the dog barks excessively and the owner is running out of patience. Barking is a natural thing to do for dogs, similar to humans speaking. Usually we do not want to stop barking altogether but to control it. To stop excessive barking, I usually teach a dog to bark on command. Once I have taught and rewarded barking, I can teach the dog to stop barking on command. The most important hint I can give is to make training fun! You will develop a bond with your dog that is unattainable any other way. For training help with your precocious puppy, Alison can be reached for group or private lessons at 843.342.7200.